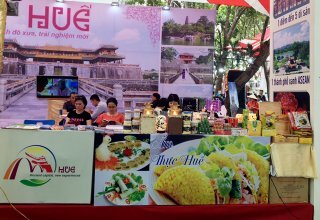 This was the number of visitors to Hue heritage site from the 29th day of the twelfth lunar month to the fifth day of Ky Hoi Lunar New Year 2019 (in which, there were about 50,000 international visitors), an increase of 13,000 visitors compared to those of the Lunar New Year 2018 holidays. 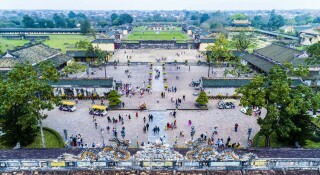 Particularly in three days from the first day to the third day of the Lunar New Year, Hue heritage site opened free of charge for Vietnamese visitors at all attraction sites. 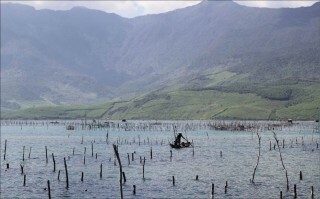 There were 70,000 domestic visitors and 22,000 international visitors travelling to Hue heritage site during this period. 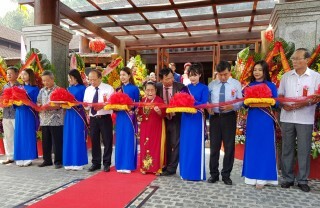 The programs serving Tet at Hue heritage site was implemented by Hue Monuments Conservation Center from the 23rd day of the twelfth lunar month, with the ceremony of Erecting Nêu pole at three locations in Hue Imperial Palace. After that, many performances and entertainment activities with royal cultural characteristics, such as Royal Court Music performance, the Guard Mounting (Guard Changing) ceremony, royal games, etc., were also held. 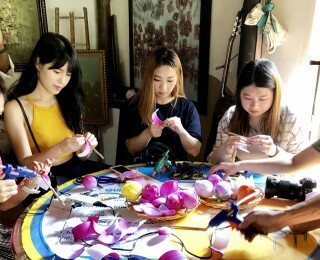 The Tet of Ky Hoi Lunar New Year 2019 in Hue heritage site was officially closed with a series of activities in the morning of the seventh day of the Lunar New Year (February 11) including the ceremony of Pulling down Nêu pole at Trieu Mieu, the Khai Ấn (Seal Opening) ceremony in the new year at The Mieu, and giving words of Spring wishes at Long An Palace.